Fox News host Laura Ingraham laced into CNN correspondent Jim Acosta on Thursday, mocking her network rival over his complaints about President Trump’s handling of the press during his summit with North Korean dictator Kim Jong-un in Vietnam. Ingraham added that she was later informed by an unnamed producer that in fact Trump called on a broad sampling of reporters, including representatives from ABC, the Washington Post, the New York Times, Bloomberg and NPR. Indeed, a press spray with both leaders included a question from the Post’s David Nakamura to Kim Jong-un himself. Reps for Acosta at CNN did not immediately respond to request for comment from TheWrap. The mention of Acosta’s name drew loud boos from the CPAC audience at Washington’s Gaylord National Resort & Convention Center. The CNN reporter has become a regular punching bag for Trump and his supporters. 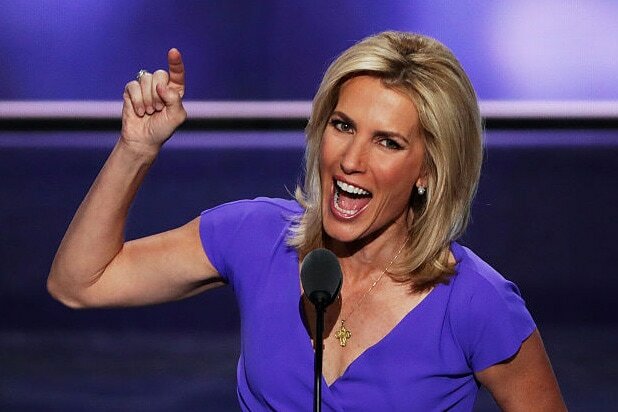 Ingraham also loaded her speech up with typical red meat for her right-leaning fan base, inveighing against socialism and U.S. Rep. Alexandria Ocasio-Cortez (D-N.Y.), whom she called by her initials. Fox News has vowed to stand behind both hosts and have said the boycotts against them are politically motivated.